Make a lasting impression with a fresh floral gift! 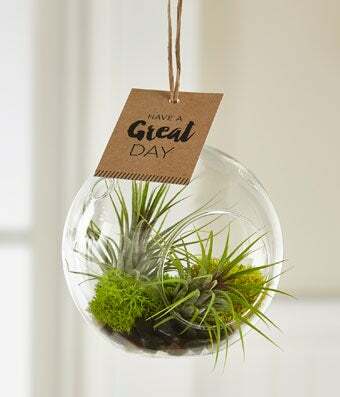 Our Have A Great Day Hanging Air Plant is a gift that your recipient will love to display in their home or office! Arriving with a personalized tag that reads, "Have a great day," with plant care directions on the back, these beautiful green plants are set to make an excellent thinking of you gift. Plant measures 3-inches in diameter.